AMTECH offers Butterfly valves suitable for simple as well as highly complex ones. Our Butterfly valves are rubber lined, PTFE lined, metal to metal sealing and high performance duty. 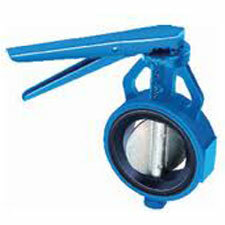 AMTECH Butterfly valves are suitable as either open/closed or rare application in regulating valves. They are available in a wide variety of sizes, materials and models. Butterfly valves can be operated with various controls actions like electric / pneu,atic actuator options. Our Butterfly valves are widely used in water, process industries and marine for chemical and corrosive duties. We offers a range of valves with specially designed for pharmaceuticals, foods & beverages, starch industries, metal and minerals industries.